Ever since presenting the chestnuts to the Emperor in 1977, people in Yamae Village are putting their passion into harvesting chestnuts that meet up to the past achievement. For a long time, it has been used as ingredients in famous confectionery shops in Obuse and Ena, which are both famous for their chestnuts. So we are proud to say our chestnuts are valued for their taste and quality. was big news to the village. the best Yamae Chestnuts headed to Tokyo. 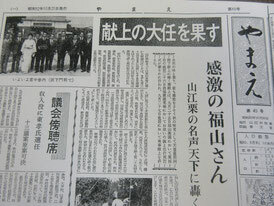 When Yamae Agricultural Cooperative was merged to Kuma Area Agricultural Cooperative, the Yamae Chestnuts were put together with Kuma Chestnuts when shipping, so the true “Yamae Chestnuts” disappeared from the market. Being unable to use the name “Yamae Chestnuts” and to show their pride, there were a few farmers that stopped shipping the chestnuts, but in the village there still were events to enjoy the chestnuts and national chestnut summits. 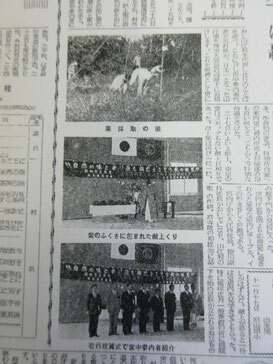 The Yamae Chestnuts were always in close bond with the development of the village. In 2008, there was a movement to rebrand the chestnuts. 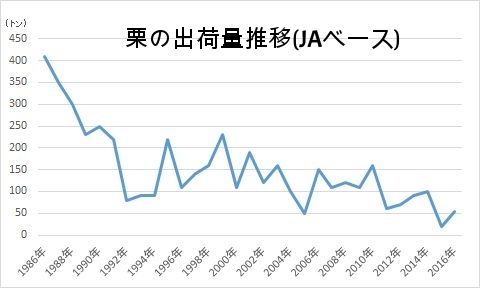 People tried to make Yamae Chestnuts popular again by creating a way for producers to sell the chestnuts directly and by promoting them in urban areas. Now, there are many products using Yamae Chestnuts.